In just a few weeks, the options have doubled for people in London who want to buy their bitcoin instantly with cash, rather than via an online transaction and all the proof of ID/bank payment rigmarole that entails. If you hadn’t guessed, those options have gone from just one to two, but the speed at which they have appeared is a sign that bitcoin is increasingly being seen as a viable business option in the UK. First to provide a walk-in service for bitcoin purchases was Azteco, London’s very first BTC voucher shop, which opened on 17th February in the east of the capital. 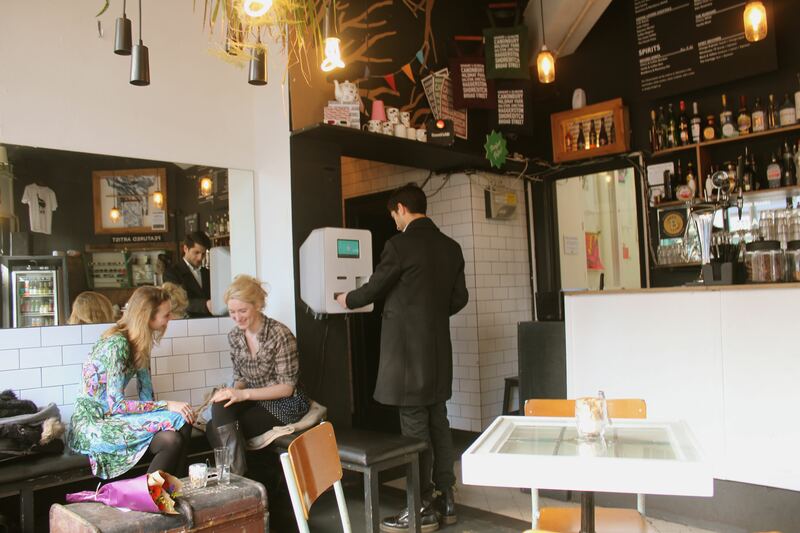 And now, less than a mile away, London’s very first bitcoin ATM machine has begun pinging digital currency to customers’ wallets at the trendy Old Shoreditch Station cafe. 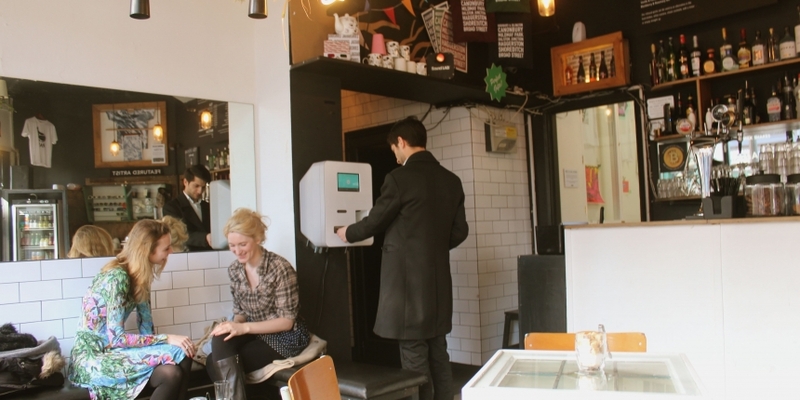 The cafe – as well as exhibitions, events and a shop – is operated by Jaguar Shoes, an arts collective that has been accepting bitcoin payments for its products since July last year. The decision by the UK tax authority, HMRC, to classify bitcoins as VAT exempt was announced on the day Future Coins installed the ATM. There is a limit of £1,000 for transactions at the ATM and no ID is required, unlike some ATMs in other countries. Because of this, he adds, it will cost you an 8% commission to use the ATM currently. 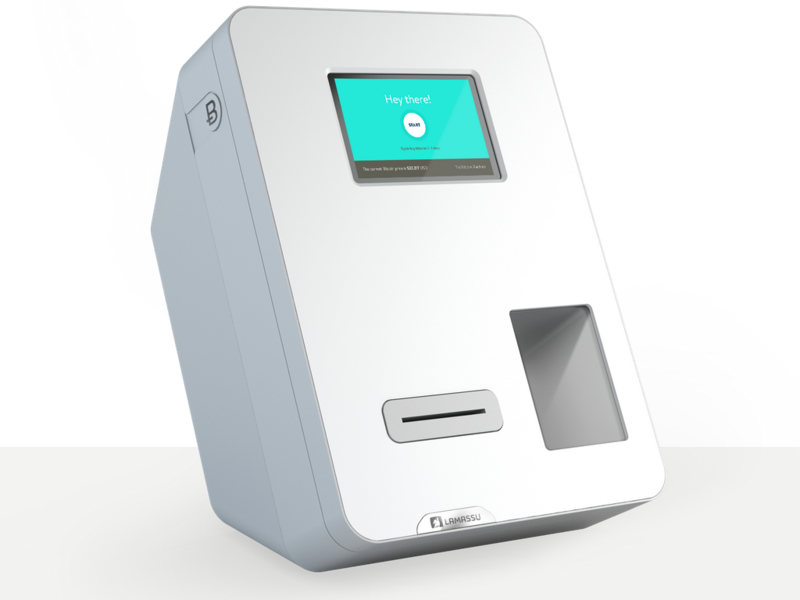 Future Coins may have won the title of ‘first bitcoin ATM in London’, but it will probably not have the playing field to itself for long. Other companies have plans for similar ATMs in the capital including Global Bitcoin ATM Ltd and Satoshipoint Ltd. Both companies have machines on order and had hoped to be the first to set up their trading business on London turf. First or not, the city is a very big place and there is plenty of room for more ATM outlets to provide visitors and locals alike easy access to the advantages that bitcoin brings.